Cordless drills are arguably the most important tool in any builder’s arsenal. This versatile piece of gear can do so many things thanks to a wealth of possible attachments. It packs an incredible amount of power in a small package. It also increases efficiency such that jobs can be completed at a fraction of the usual time. Once you have tried it, you will never want to work without one again. 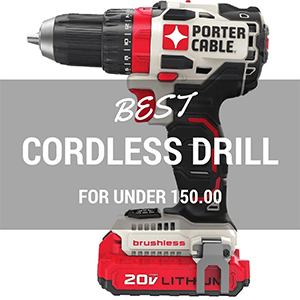 The good news is that there are plenty of options in the market and cordless drill reviews to read. Just remember to get a unit from a reputable brand to unsure durability and reliability. Dewalt or Makita - Which is The Best? This drill has a 4-pole motor that was designed and built by Makita itself. It is capable of delivering up to 480 inch-pounds of torque which is remarkable power for this size. There is a 2-speed transmission system to accommodate different driving and drilling situations. Choose between 0-600 rpm and 0-1,900 rpm. The speed has been increased by 25% from the previous generation. Working in dark areas is not a problem thanks to the dual LED lights located just above the trigger. These shine directly in front of them so that the user can see the drilling progress. The handle has curves designed for utmost comfort and reduced fatigue. It is also covered by a rubber material to improve grip. 1. Do the batteries get drained while the tool is not in use? Since these are lithium batteries, they are able to hold their charge longer than other cell technologies. Owners can leave them in the tool for a while without noticing any large discharge. In fact, some users report that they had no problem using their drills right away even after storing them for months. 2. What items come with the package? This particular package is complete with the drill, a charger, and two batteries. The charger is able to complete a cycle quite quickly. These batteries are only rated at 2Ah but they are able to last for a while. Since they are compact and lightweight, the tools feels easier to use even for long periods. 3. What are the extra compartments in the case for? Owners can use these however they please. Some people but their extra bits in there to keep things organized. Others may place larger batteries, if they decide to purchase additional ones. 4. How does the charger work? Just place a battery in the slot and turn it on. You should see a red light that indicates that the battery is currently charging. If you don’t see this, then check the power source. Once it is charged, the charger will exhibit a green light. You may turn it off and take out the battery at this time. 5. Does this have a hammer drill/driver setting? Yes, this model has this setting but it has its limitations. It should be used occasionally at most. Otherwise, the drill might not be able to handle the load and get damaged. On the other hand, the drill function can be used continually. A dedicated hammer drill should be purchased if this function is frequently required. This Makita drill definitely impresses on paper and performs just as well in real life. It is hard to complain where you have a really good product at an affordable price. This tool is fantastic with its excellent power-to-weight ratio that makes it a capable workhorse for most jobs. While it won’t be able to cope with the most demanding tasks, it should be enough for most types of DIY builds and household needs. Only professionals doing actual construction work are likely to require a drill with higher power, though this will also come with a bulkier and heavier body. With this cordless tool, you will have a lightweight solution that you can take everywhere you need to be. The battery lasts long enough that you won’t have to worry about running out of juice. If you do need to charge it, the process will take no more than 30 minutes so you can return to your task right away. You can store a fully charged battery for months and return to it almost unchanged. Drain will not be a problem. This is perfect for emergency jobs as you can tackle them without delays. Even the little things like the LED lights and ergonomic handle make jobs so much easier. This DeWalt drill features a brushless motor that is able to run up to 57% more than brushed variants thanks to reduced heat generation. Brushless also means greater efficiency and no voltage drops. Since friction is minimized, parts don’t wear out as easily. Breakdowns are few and far between. The tool only weighs around 3.6 pounds which is quite light for this category. It is also compact so it is easy to work with this in tight areas. It is less than 8 inches from the front to the back. Despite the small body, it is capable of generating a great amount of power for drilling and driving. 1. Do the batteries drain up when the tool idle? No, they don’t. Similar to the Makita, this one comes with lithium ion batteries which are able to hold their charge for a long time. They can be stored away for months and retain their juice such that they are ready to go at any time. 2. Does this package come in a hard case or a contractor bag? According to those who ordered the item, they received a hard plastic case that has adequate room for the drill, the batteries, and the charger. This is arguably better than the soft case since everything is protected. On the other hand, it is a bit heavier. 3. Can the hammer function be turned off? Yes, it can. There is a clutch adjustment dial that may be used to change the setting. Put it in drill mode using the outer ring selection so that it does not use the hammer. 4. What is the difference between drill mode and driver mode? When set to drill mode, the clutch will be locked. This is the default mode for drilling holes using the appropriate bits. It is great for jobs that involve wood. In driver mode, you use different bits to drive something down a hard material like concrete. It can also be used to unleash rusty bolts. The latter is able to generate more torque thanks to the presence of a small hammer that helps the bit rotate despite the opposing force. 5. What is the rating of the power supply voltage? The charger should be plugged into a typical US outlet which is 110V AC with a frequency of 60Hz. The battery itself is rated at 20V. 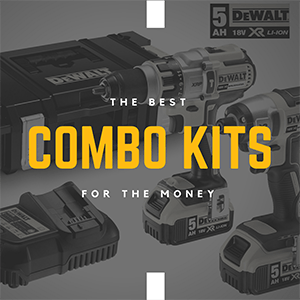 DeWalt is a trusted name and this tool further solidifies its status. It is an excellent drill that serves its purpose very well. Most of the buyers have nothing but praises for the product. It truly is a light and powerful option that should appeal across the board. The battery also lasts for a very long time. Users can drill dozens of holes in both wood and masonry without breaking a sweat or running out of juice. Those who are planning to give this out as a gift can do so with confidence that the recipient will love it. Perhaps the biggest thing to look out for is chuck malfunction which seems to occur in a small number of cases. Test this right away so that you can ask for a quick replacement if you need to. It’s a rare occurrence but it’s better to be safe than sorry. The warranty should take care of any problems. You should also consider whether the price is something you don’t mind parting with. It is around $100 more than the price of the Makita. Of course, these tools are also a bit different. This one has a dedicated driver mode which makes masonry drilling and large bolt fastening easier. Dewalt or Makita – Which is The Best? Is DeWalt better than Makita? It depends on who you ask and what you are looking for. The truth is that these two consistently come up with excellent tools. You really can’t go wrong with any of them. Their clever designs, rigorous quality control, and never-ending innovations both drive this product category forward. Perhaps Makita has a slight edge but DeWalt also makes a strong case for itself. Perhaps you should look inward before you shop. Find out how much you can spare to buy the tool. List down your priorities in terms of features. Imagine your likely usage scenarios. Then you can look at the specific models available and pick the best fit. In this case, those who want a low-cost reliable drill should pick the Makita while those who are willing to pay higher for more power should choose the DeWalt. Although there are a lot of cheap tools, it is always better to invest in a reputable brand that can guarantee excellent performance and long service life. DeWalt and Makita are both good options. The models discussed here would make an outstanding addition to anyone’s tool chest.